Over and above the meal and companionship enjoyed by the Brethren at the conclusion of every Lodge meeting, other opportunities exist to meet socially. 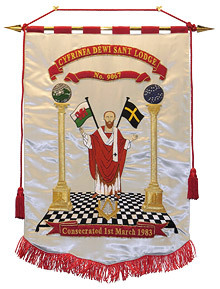 Visiting other Lodges happens regularly and we often invite friends and members of other Lodges to our meetings. The highlight of the Master’s year in office is a Ladies Festival giving everyone the opportunity to dine together and dance the night away! Other social events happen throughout the year and occasionally the Ladies will join us for the meal on a Lodge night. A great deal of fund raising takes place for the Albert Edward Prince of Wales Court in the form of a Christmas Fayre, Summer Fayre, Race Evenings and other social gatherings.